If you are a stakeholder in the American nonprofit theatre community, you probably heard about or took part in the heated discussion last week about the announcement by the Guthrie Theatre in Minneapolis of its 50th anniversary season, a season that has symbolic weight for being the 50th, and a season that consists of 11 plays written by white men. Don’t look for any juicy Shakespearean roles for women either; the two-play Shakespeare repertory is being performed by an all male company. The current 2011-12 season does not include a single play by a woman either. Much has been said about the exclusivity of the Guthrie’s programming philosophy. I call you attention, especially, to Polly Carl’s piece about the construction and representation of gender on American stages. I want to hone in here on Dowling’s purported excuse for programming a season in this way. 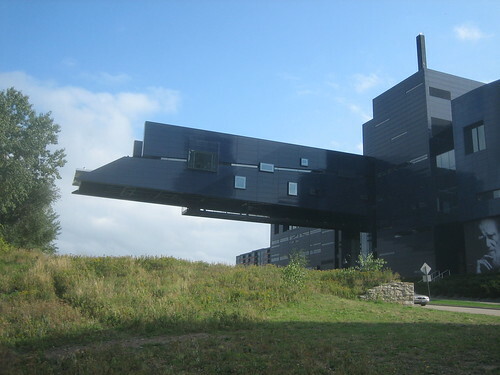 In an interview in the Star Tribune he said, “It is a very stern task to direct on a stage of our size.” The new Guthrie opened in 2006. It is very much Dowling’s project. Yet, he complains about it. There are 1100 seats surrounding the Wurtele Thrust Stage. If it is so challenging to fill those seats, why build them? The hallmark of the Guthrie’s actor/audience relationship has always been intimacy. The original Guthrie stage famously maintained that “intimate” relationship. But, if 1100 seats are hard to fill, why not achieve intimacy the old-fashioned way, by building a smaller theatre. It seems disingenuous to build a temple of institutional theatre on the banks of the Mississippi River and then complain about the challenges of programming it. (I considered inserting comments about the visual symbolism of the famed cantilevered lobby over the river, but I restrained myself). There is a history of arts organizations being eaten alive by their new facilities. I hope that doesn’t happen to the Guthrie. The Guthrie Theater, founded in 1963, is an American center for theater performance , production , education , and professional training. By presenting both classical literature and new work from diverse cultures,_ the Guthrie illuminates the common humanity connecting Minnesota to the peoples of the world. This “American center” will present a season heavy on British playwrights and directors – all male. Perhaps if the Guthrie produced works of “classical literature or new work from diverse cultures,” it would be easier, rather than more difficult, to fill the hall. Dowling indicated in the Star Tribune interview that he’s responsible to the board of directors for the season that is presented, although the board itself does not take part in season planning. I hope the board takes Dowling to task for not effectively fulfilling the organization’s mission. His colleagues across the country already have. This entry was posted in Arts management, Uncategorized and tagged arts management, board governance, diversity, inequality, new plays, performing arts, Theatre. Bookmark the permalink.